Questions? We're here to help! Call an Admissions Specialist at 505.747.2111 or email us at admissions@nnmc.edu. 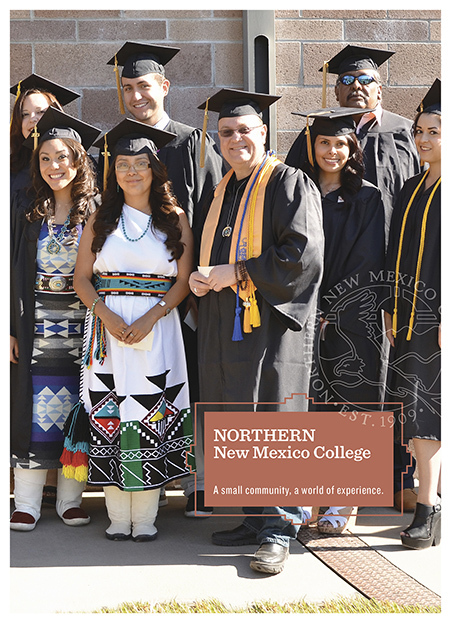 Are you starting classes at NORTHERN New Mexico College? If you haven't yet applied to Northern: follow the application steps here. For more information, learn more here or call the Advisement Center at 505.747.2150 or Admissions at 505 747.2111. Welcome to Northern New Mexico College! We're pleased you have decided to become an Eagle! A. Fill out our online application. You can access the application here. To begin, you will need to create an account. For more information on the application process, read "What Type of Student are You?" Transcripts for all dual-credit and college courses previously taken. Placement test scores. Eligible scores are from ACT, SAT and COMPASS placement tests taken within the past two years. If you haven't tested, see the next step. Northern offers Accuplacer for reading, writing and math. Go to the Advisement/Student Success for study guides, or call 505.747.2150. Set up a time to come to the testing center. Your test scores will help place you in the right classes your first year.